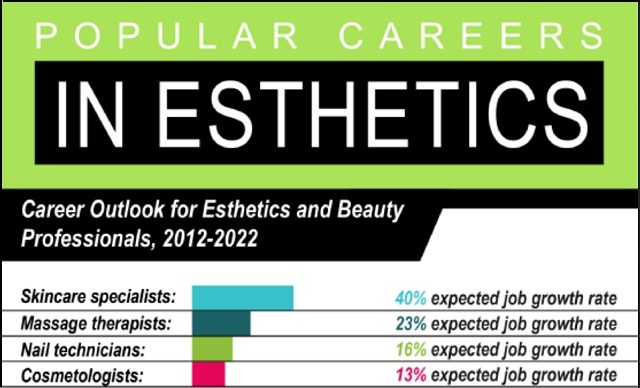 Popular Careers in Esthetics #infographic ~ Visualistan '+g+"
Cosmetology school prepares students for a variety of careers in esthetics. Some of the most popular careers include spa estheticians, make up artists, and brand educators. Read about each of these career paths by clicking over to this infographic from a beauty school in New York.